It seems oddly perfect to me that this property from the 90’s is what made augmented reality popular, or at least part of the conversation. There have been other games, including one by the same company, that have had a huge player base, but nothing has captured the imagination of people (or the media) quite like this. There needs to be a better mechanism for non-players to verify public locations are gyms or Poke-Stops and give them the option to opt out. In the meantime our pastor has asked a member of the congregation who is playing the game to win our church’s gym so it doesn’t get renamed to something we wouldn’t like. There are privacy concerns, but my suspicion is this app isn’t really more intrusive than what other apps are doing, it’s just getting us to pay more attention, which is a good thing. Keeping the camera on all the time raises some obvious concerns, but ones we’ve needed to address for a while. People need to use their phones more like a tricorder and less like eyes. You don’t see Spock staring into his black box without looking up around him. Otherwise you’ll end up like a red-shirt. I do kind of wish I had the app so I could set a lure, then shoot people with Super-Soakers while yelling “Squirtle!” This would make up for the fact that capturing a Pokemon doesn’t involve fighting it, which seems wrong to me. A video game that encourages exercise is not a bad thing, as long as people look where they are going. I have yet to see people in the wild actually playing this game, though I see a lot of traffic about it on Facebook and Twitter, and I know a few people who’ve installed it, including one of them who told me it works while driving which seems … unwise. It’s a bummer this is limited to smartphones and doesn’t work on my Kindle. Then again, I need to actually get work done and trying to capture a Charizard isn’t how I’m going to do it. Over all, neat game though I imagine the novelty will wear off. But I am interested in the conversation it starts, and the next generation of games like this. 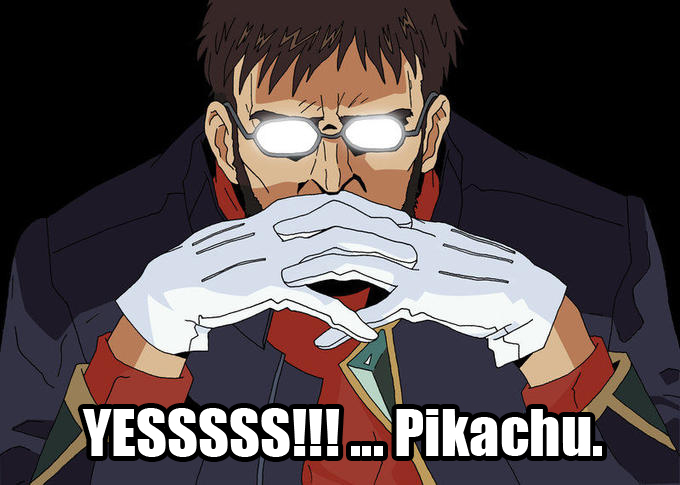 ** Bonus points to the reader who gets the Gendo reference.